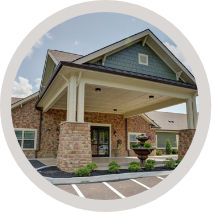 Our practice is centered on a team-based model providing care in multiple settings including our outpatient clinic, assisted living facilities and skilled and long-term nursing care facilities. By offering services in multiple areas, we can better meet the needs of our communitys seniors and improve health outcomes. At Blount Senior Care Partners, we are here to care for you. Our clinic brings specialized geriatric care to ambulatory seniors in Blount County and surrounding areas. Having an outpatient clinic allows Blount Senior Care Partners to fulfill its mission of providing optimal continuity of care within all healthcare settings. Patients already cared for by a primary care physician may be seen for a Geriatric Consultation or for a follow-up visit after leaving a rehab facility. We are able to provide primary care to seniors without a physician. Blount Senior Care Partners participates in all major medical plans under Medicare. MON - THUR | 8:30 - 5:00 p.m.
FRIDAY | 8:30 - 4:30 p.m. In the past, a patients primary care physician cared for him or her in the office, in the hospital, and when necessary in the skilled nursing facility. Blount Senior Care Partners aims to recreate this level of continuity for the patients and families we serve. Because of our close affiliation with Blount Memorial Hospital, we can provide inpatient coverage for our patients when they require admission. Our presence in multiple local skilled nursing facilities allows us to continue seeing our patients through the rehab process. Specialized medical care in all settings. 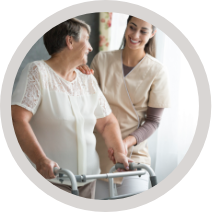 Continuity of care between inpatient and outpatient settings, whether that is in the hospital, in our clinic, or in an assisted living facility. Partnerships among all venues of care to improve transitions and outcomes. Our physicians are active members of the Blount Memorial Hospital staff and serve as medical directors and attending physicians at several skilled facilities providing post hospital care. We maintain relationships with our communitys primary care physicians to offer consultative services for their patients, and we are offering primary geriatric care as a service through our clinic. 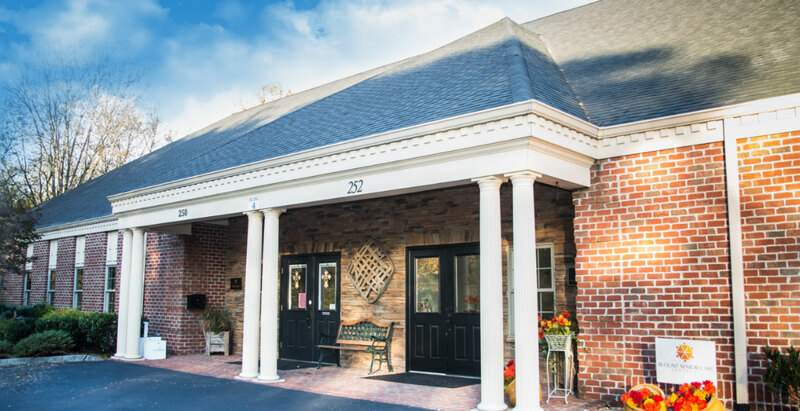 Blount Senior Care Partners currently serves patients at the following Assisted Living Facilities: Asbury Place Maryville, Brookdale Browns Creek, Brookdale Sandy Springs, Liberty, Morningview Village and Clover Hill Assisted Living. Visits to the facility follow a routine schedule, and may occur as needed in urgent situations. Family meetings are accommodated upon request. Patients are followed by their physician during hospital stays (at Blount Memorial Hospital), and in transition if admitted to a skilled facility in which we provide services. Our practice offers on site geriatric psychiatric services on a referral basis. Medication management is handled on-site and refills managed promptly by the primary provider. We coordinate closely with on-site therapy services for needed adjustments to a patients plan of care. We coordinate closely with mobile imaging and outpatient laboratory services electronically for quick response and follow-up (when local services are utilized). Blount Senior Care Partners participate in all major medical plans under Medicare. There are no additional fees for on-site visitation. We provide dedicated nurse practitioners to each facility working closely with supervising physicians specializing in geriatric care. Our goal is to enhance on site care, thereby preventing hospitalization when possible. Call coverage is team based, with Nurse Practitioners and Physicians familiar with the unique capabilities of the long-term care setting. Long-term care patients are followed by their physician during hospital stays at Blount Memorial Hospital. Medication management is handled on-site in close coordination with facility pharmacy services. We coordinate closely with on-site therapy services to ensure focus on functional needs. We work closely with mobile imaging and outpatient laboratory services for quick evaluation and follow-up when there is an acute change in a patients status. Blount Senior Care Partners participates in all major medical plans under Medicare. There are no additional fees for on-site visitation. Dr. James, Dr. Catron, and Dr. Goodemote maintain privileges at Blount Memorial Hospital. In maintaining a presence there, we are able to offer continuity of care between the outpatient and inpatient settings. This means that our facility and clinic patients will be cared for by one of our physicians whenever they require hospital admission. Having a physician who knows the patient can prove invaluable in the acute care setting, particularly when key decisions are needed regarding short and long-term goals of care. Blount Senior Care Partners offers physicians and nurse practitioners with specialized certification and experience in Palliative Care and Hospice. We recognize that geriatric care requires a focus on the health needs not only of our most active elders, but also on the needs of our most fragile, including those who are nearing the end of life. 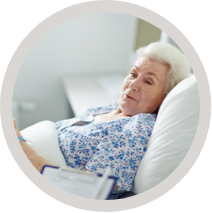 Our providers are available to discuss issues of advanced care planning, advanced directives, and the role of hospice or palliative care as an acceptable part of active medical management. 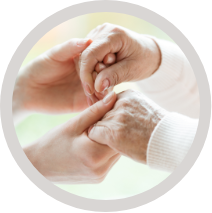 We are happy to assist with determining eligibility for hospice services and assist with the referral process. Dr. Catron serves as the Medical Director of Blount Memorial Hospice and Pallitive Care Program. Blount Senior Care Partners has the ability to provide specialized medical care for seniors in their own home. 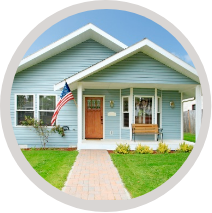 Our team can arrange an appointment in the home by a board certified nurse practitioner for patients who are homebound (traveling to the clinic would be a hardship). We have the ability to manage care, collect lab specimens, order portable imaging, and refill medications all in the home setting. and this philosophy transforms the way we care for our patients, ensuring they receive the individualized geriatric treatment they need and deserve.